Oh the bucket list… Ever since 2007, when Jack Nicholson asked “you gonna drive it, or buy it a dress”? People have committed to doing things like zip lining, skydiving, visiting the Grand Canyon, and the list goes on. What about a bucket list specific to our region? Because I grew up here, this is something I never felt was necessary for me, as being young and adventurous was all my friends and I needed to discover the gems of this beautiful region. Speaking with people “from away”, I’ve discovered that there are many who truly have trouble entertaining themselves in our corner of paradise. I can’t help but cringe a bit whenever I hear this, because a lot of times these people are looking for a shopping mall, amusement park, or some other structure manifested by man out of lack of imagination. There are so many things to do in the area; it actually took more time narrowing the list down, than it did to compile the list. Growing up in this area, seaplanes have always been just a part of the culture. It wasn’t until I moved away from Moosehead that I realized just how unique the seaplane culture is. As a child, the sound of a seaplane taking off was a sure sign that summer was on the way! Your experience on Moosehead Lake can make you feel as tiny as a neutron, but experiencing the aerial view from a seaplane is something everyone should see. It’s breathtaking to see, and helps you to understand the geography of this 40-mile-long body of water. I remember my first ride on a seaplane, and being so nervous, I swear a million butterflies somehow found their way into my belly. As I climbed into the plane with the pilot, I didn’t know what to expect. I had never even travelled on a passenger plane at that point in my life, so I was feeling quite vulnerable. All 3 and a half feet of my little body was shaking, as I looked up at the pilot and asked him how many times he had flown an airplane. With a little smirk, he eased my mind by telling me he had been flying since before I was born, after all, at age 5, 5 years seemed like an eternity. As the plane ascended into the air, I started to relax, right up until the pilot decided to flip the plane upside down! At that point, I was certain this would be my last experience before I plunged to my death. To my surprise, we landed safely, and I jumped off the plane feeling as though I was braver than Benny from The Sandlot when he tried to outrun “The Beast”. 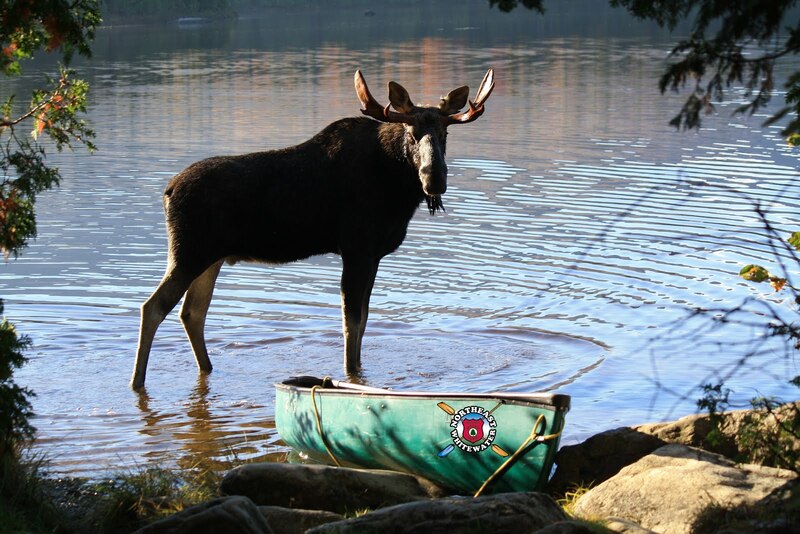 If you travel to the Moosehead Lake Region, and leave without a story about a moose, you didn’t explore our vast region enough. This majestic creature is so humbling to witness, as they are huge! Being from the region, I have always felt quite comfortable navigating through the woods, despite these creatures being around what seems every corner, especially this time of year! That being said, if you don’t know the roads up here, I wouldn’t recommend doing too much off-roading without some navigation help from someone with some experience. Moose safaris are a great alternative to venturing out on your own to witness these massive creatures, not only because it is safer, but also because these guides know this area far better than you or me. They know all of the secret hideouts, and can almost guarantee you will see a moose! As I’ve told you before, one of my favorite past times this time of year is going for a hike. There are so many beautiful hikes in the region, it was really difficult for me to narrow this down, but I’ve picked four of my favorites. Gulf Hagas: Gulf Hagas, sometimes referred to as “The Grand Canyon of the East”, is the reason I fell in love with hiking. As a young girl, the most experience I had with hiking was exploring the old mill site on the mill side of town in Greenville. I grew up with a single mother who had four children, so outings were no easy feat, and therefore didn’t happen often. Because of this, when I was in the fifth grade, and found out we were going on a class trip to hike Gulf Hagas, I was more excited than I would be today if I won the lottery. I remember preparing for the trip so meticulously, making a checklist of items I would need along the way. I am not a checklist kind of girl, so this was a big deal for me. The hike was something I will never forget, and truly set the stage for my love of hiking. Gulf Hagas is a two and a half mile long water-formed canyon. I’ve discovered that most people, even the locals around here, don’t know that this is an actual canyon. I didn’t realize this, until I started chatting with people about this blog. When I mentioned “The Grand Canyon of the East”, most looked at me like I was sprouting a third leg from my head. I promise you, it is an actual canyon. There is a beautiful old growth pine stand, and some spectacular waterfalls sprinkled throughout this hike. This is a long, sometimes challenging hike, so be sure your party is up for a full day of hiking, if you plan on completing the entire 8-miles. Bring a pair of tevas, or water shoes, if you don’t have your “summer feet” yet, as you do have to cross the river to make it to the trail. Mount Kineo: A trip to Moosehead Lake would not be complete without a trip to Mount Kineo. Mount Kineo is unique, because it is a peninsula made of flint, which Native Americans collected way back when, to craft arrowheads. Though accessible by land, the easiest way to get to Kineo is to travel to Rockwood, where a ferry is available to take you over. The ferry ride enhances your experience, as it is nice to just be on the water, not to mention, the breeze off the water feels amazing after your sweaty hike to the top. There is a fire tower at the top, and some spectacular views, especially along Indian Trail. This is a truly worthwhile experience. Every time I travel to Rockwood, I get this amazing sense that I have stumbled upon a community still living in the early 1900’s, and I mean this in all the good ways possible! I will tell you to be sure you are well prepared, and your vehicle is gassed up, as finding gas in Rockwood, especially in the evenings, is all to reminiscent of a Mad Max movie, and nobody wants to deal with that, trust me on this. B-52 Site on Elephant Mountain: There isn’t much hiking involved in this short, half mile hike. It’s more like a short jaunt, but what a jaunt it is. As you stumble upon the first few pieces of this magnificent Bomber plane, which crashed on Elephant Mountain in January of 1963, the energy is something spectacular. I am a big believer in all things giving off certain energy, and this place has some of the most intense energy I have ever experienced. Forget about ghost hunters, monitoring haunted houses with a hundred different pieces of equipment. All you need is your own emotions to experience the haunting energy given off with every step you take through this graveyard of bomber parts. All but two aboard the plane perished, and the two men who survived spent two blistering cold nights on the Mountain, before being rescued. Every January there is a snowmobile ride up to the site where a memorial takes place. Eagle Rock: This is one of Greenville’s best-kept secrets. Arguably the best view in the area, with a 360-degree view of all things magnificent, including Moosehead Lake, and many of the area mountains. I didn’t know about Eagle Rock, until I was a Freshman in High School, but I remember my first trip very well, climbing the rock, with a rush of serenity taking over my body, as I realized just how little I was in this big, big world. This hike is less than two miles, and is not incredibly challenging, so even if you aren’t an avid hiker, I truly encourage you to dig deep and find your adventurous side to give this hike a go, I promise, you won’t regret it. As I said before, this category was incredibly difficult for me to narrow down. There are so many amazing hiking trails in the area, I encourage you to dig around a bit, chat with a local, even! We all have our own little secret places, and sometimes you’ll get lucky enough to stumble across someone who is willing to share the knowledge! The Katahdin, much like the seaplanes in our area, was something I never really thought to be unique as a child, but it truly is! Built in 1914, she was once one of 60 steamboats to travel on Moosehead Lake! By 1930, The Katahdin was the only one left operating on the lake, and is still in operation today! Taking passengers from approximately May-October each year, thousands of people climb aboard for a “three hour tour” around Sugar Island. Yes, yes… Go ahead and make the Gilligan, and Skipper too joke, we have all heard it. I promise you, however, that you aren’t going to get washed up on some remote island, never to be found again, crafting radios out of coconuts. The Katahdin also does specialty cruises, such as an eight hour head of the lake cruise and their famous Rock ‘n’ Roll cruises. At first glance, I was petrified to climb aboard one of these Rock ‘n’ Roll cruises, as the average age of the passengers seemed to be close sixty. Not that I have any beef with people who are a little older than me, I just expected a hipper crowd when using the term Rock ‘n’ Roll. I soon discovered that this crowd was not square at all. With a BYOB policy, things get a little crazy, sometimes weird, but you always exit the ship laughing until your belly hurts, and with new friends to boot. Check out their website Katahdincruises.com, for more information on pricing. Not only do I work for these spectacular people here at Northeast Whitewater, but I also work at a restaurant called Kelly’s Landing, which sits in the West Cove, directly on the water. In the winter, one thing tourists are blown away by, is the ice racing we do in the cove. I’m not talking snowmobiles, I’m talking cars. That’s right; folks up here people take their beat up old buggies, and turn them into snow-flinging ice racing machines! You can walk down onto the ice, for a close up of all the action, or if the cold gets to you, grab a table at Kelly’s Landing for lunch, and watch from inside! Hilarity ensues as you not only watch these wild men and women do their thing, but also listen to the commentary among racers. Another truly unique experience, I encourage you to set aside a Saturday to spend at the races, you won’t be disappointed. 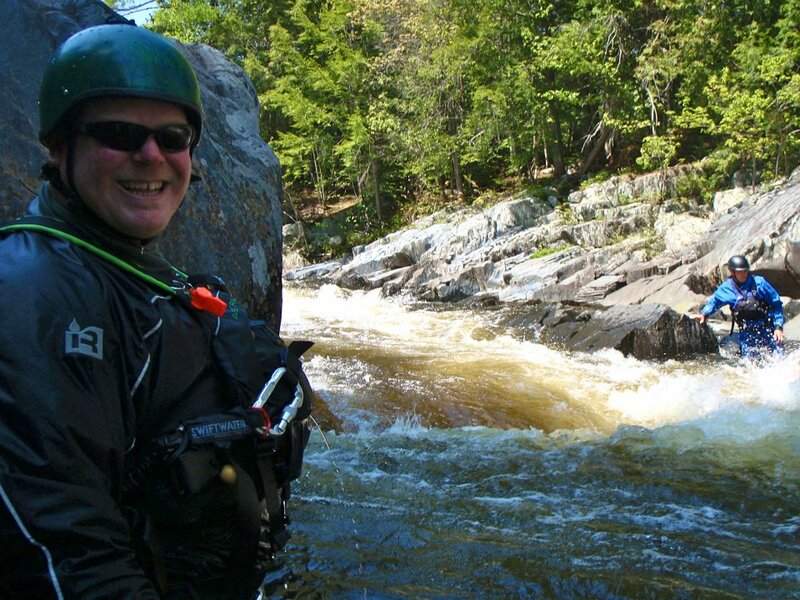 No trip to the North Maine Woods would be complete without hitting the rapids. 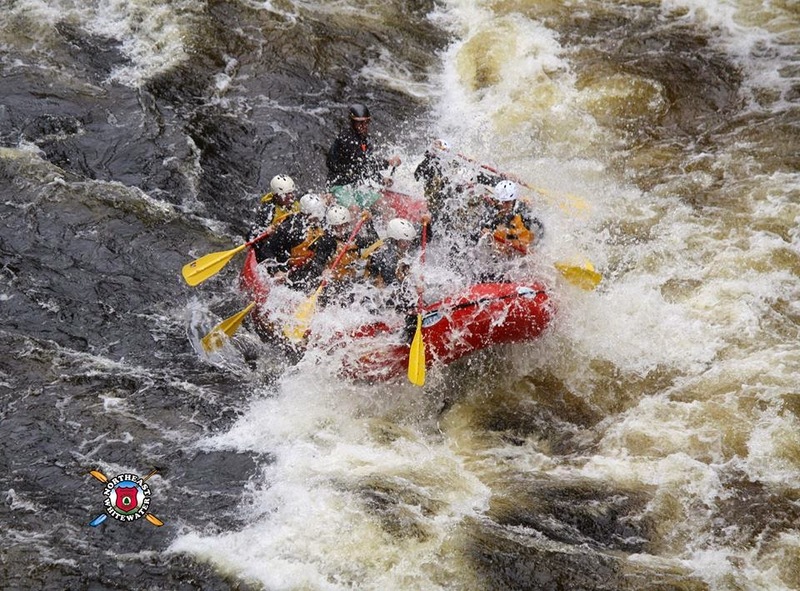 Whitewater Rafting can seem scary to some, but I promise, it is as safe as it gets. Here at Northeast Whitewater, a new batch of trainees is on the river, as I type, perfecting their paddling, and knowledge of the rivers, to be the best they can possibly be for our visitors. Once you take one trip down river, you will become addicted to the experience, and it could even help you discover the adrenaline junky within! We do guided tours down the Kennebec, Penobscot, and Canada Falls. All trips give you an experience you won’t soon forget! This one is a bit tricky for those of you not local to the area. Fiddleheads are the young coiled fronds of the ostrich fern. Nearly all ferns have fiddleheads, but those of the ostrich fern are a delicacy unlike any other. Not only are they absolutely delightful in taste, but they are a treat to gather, this brings me back to the tricky part… Where and when do you find fiddleheads? Here in Maine, April, May, and early June are the only time of year to gather these treats. The trick is to pick them when they are only about an inch to two inches above the ground, as once they start to grow beyond that, they become a fern. They are found throughout the woods of Maine, with many locals having their own secret fiddleheading spot. I took my daughter fiddleheading for the first time this spring, with a couple of friends; boy did we have a blast! I love taking my daughter out to do things like this, because it truly is part of the culture up here. As soon as the fiddleheads are out, you will find pick up truck after pick up truck on the side of the road, selling fiddleheads for about $3 a pound. As we made the trek out to my friends’ secret spot, my daughter was shaking with excitement. At this point, she didn’t even know what a fiddlehead was, she just knew we were going on an adventure, and when you’re four, any adventure is worth getting shaken up over. Truth be told, she wasn’t much help when it came to picking the fiddleheads, but we walked out of there with close to a five gallon bucket full. Our adventure didn’t stop there, as cleaning the fiddleheads to get them ready to eat is an adventure in and of itself. You first have to rinse them off quite thoroughly, and then blanch them, before you can even begin to coordinate a recipe for these bad boys. After getting them cleaned, and blanched, you are ready to cook and eat these magnificent little fellas. Everyone up here seems to have their own recipe, which is the “best” way to cook them, and I am no exception to that rule. My mother passed down a “cream of fiddlehead soup” recipe to me, that will add five pounds to your wasteline just by looking at it, but it is a treat I only make once a year. I love cooking for other people, and I like to think I’m at least reasonably good at it, so I was thrilled to share this with my friends, as it was like fruits to our labor. It was cheesy, and delicious, and we felt like we earned the reward. I won’t lie, I ate two bowls, accompanied with these spectacular cheesy bread bowls, which I’m fairly certain attributed to the five pounds I somehow have gained since winter’s end, but it was worth every bite. I encourage you all to take a walk through the forest next spring, and see if you can round up a few of these yummies, and try out a recipe of your own. For most of you, this will lead you to fiddlehead withdrawals, come wintertime, but the withdrawals make them that much more delicious when the season finally rolls around again. Hunting: This is one of the few activities I have yet to cross off of my bucket list. Though I grew up eating wild game, because most members of my family hunts, it’s something I’ve never been into. I blame it on the hippy in me, but there is just something that hurts my heart when I think about shooting a living thing. That being said, I have complete respect for people who hunt. Some do it out of necessity, some do it because of the rush, some do it because there isn’t much they like more than a meal of moose and potatoes. Whatever the reason being, as long as they have respect for their kill, I have respect for what they do. There is a lot that goes into having the privilege of hunting in our North Maine Woods. Gun safety is very important, so a hunter’s safety course is something which can’t be taken lightly. You also need special licensing to hunt specific animals. Moose, for example, can only be hunted by those who win a permit through our annual moose lottery. Before venturing into the woods to see what you can take down, be sure to visit Maine.gov, to be sure you are following all of the rules and regulations. If you’re like me, and just can’t bring yourself to shooting another living thing, at the very least, you need to try some wild game while you’re here. That being said, it’s not something you can waltz into the grocery store and purchase. Be sure to bring someone along who enjoys the chase, and set them out into the woods to round up supper! Much like fiddleheading, it is very rewarding to reap the benefits of not only preparing your own meal, but also going out and getting it yourself, and is something everyone should try to some degree. Smelting: This is another tricky one, as you kind of have to know where to go in order to be successful with your journey. Being “from away” makes this difficult, but certainly not impossible! Much like fiddleheading, all the locals have their own favorite smelting spots, but if you use a little common sense, you can find some rushing water that will lead you in the right direction. Smelts are basically just a tiny fish. They are absolutely delightful to eat, though most people use them as bait, to catch bigger fish. Smelting is an adventure for many reasons. First off, you don’t go smelting in the middle of the day. You set out after the sun goes down, sometime around 9-10pm. Be sure to wear your rubbers, as you will be wading in the water a bit, once you get into it. You also want to bring a high-powered flashlight, a bucket, and a dip net. It’s simple in theory, but spotting these little buggers can be tricky. About a month ago, a group of friends and I started out on a smelting adventure. Though we were unsuccessful in terms of netting some smelts, we were beyond successful in terms of having an adventure. We didn’t have high hopes, as we pack up my friends SUV, as we discovered we were less than prepared, as I looked down to one of my besties' feet, to discover that she was wearing winter boots. That being said, we knew what we were in for, and were excited to hit the road, and get things moving. My point being: Sometimes, it’s all about the adventure. It’s something you can look back at and say “hey, I tried that once”, and there is usually a funny story or three you can reminisce about for years to come! Dog Sledding: First of all, who doesn’t think of Yukon Cornelius when they think of dog sledding? It just puts you in that child-like state of mind. The simple thought of hollering “mush” to a team of beautiful sled dogs gets me giddy with excitement. I am the type who has a difficult time with the cold, but when you’re involved in something this spectacular, the thought of being cold is the furthest thing from your mind. There are a number of guides in the area who will take you on a ride, and teach you a trick or two of the trade! It’s an incredible experience that will teach you respect, instantaneously, for sled dogs around the world. Fishing: Whether it be open water, fly fishing, or ice fishing, it’s an experience everyone should have. The great thing about fishing is that it really is for people of all ages! For me, fishing is one of my all time favorite activities in the area. There are so many places you can go to wet a line, and a good variety of fish to catch in the region. From land lock salmon, brookies, togue, bass, and even Muskie at the top of the lake. It’s an activity I have enjoyed with my daughter for at least half of her life, and she has such a good time doing it! From baiting the hook, to casting the line, and reeling in a brookie (which are her favorite)., fishing can easily be turned into an all day excursion. Bring the canoe and a picnic along to one of our remote ponds in the area, and you have a full day of excitement for one and all. We have many guides in the area who will take you to some of the more remote, unknown areas, and help you reel in a big one, if you aren’t feeling confident with your cast. After your excursion, there’s nothing better than reaping the benefits of your hard work, clean those babies and throw them over an open fire, bring some of your fiddleheads along, and you’ve got suppah! Camping: If you plan a trip to the North Maine Woods, and refrain from planning at least one night of camping, you’re missing out on the experience of a lifetime. I understand, camping isn’t for everyone, but there is no better way to connect with this great green earth, than sleeping under a starlit sky. Whether it be at a campground, or in your own little piece of mother nature’s backyard, there’s no better way to relax. Besides the essentials, I always am sure to bring along a good book, and a hammock. All seems right with the world when I can read a little William S. Burroughs by moonlight, rocking back and forth in a hammock, and maybe sipping on a delicious Maine-brewed beer. Camping is one of those nostalgic experiences, which remind me of just being a kid. My family used to go on many camping adventures, and it helped me to connect with the earth, which is something kids lack these days. Help to encourage your children to find something better to do than beat the next level of candy crush saga. Go exploring, talk to them about the wildlife you encounter, we are our children’s best role models, its up to us to help them experience all that our wonderful country has to offer, so get out there! Canoeing/Kayaking: Some of my best summer experiences have been out on the water. Even the sound of a paddle pushing through the water gives me the warm and fuzzies. I know Moosehead Lake can be intimidating to a beginner, but the great thing about our vast region is the number of remote ponds in the area. These ponds are a great place for people just starting out, and a wonderful place to teach children about boat safety, and how to handle a paddle properly. There are a number of companies in the region, which offer canoe and kayak rentals for incredibly reasonable prices. Once you try it, you will yearn to get into some faster paced waters. As I said, this list was incredibly difficult to narrow down, as there are so many awesome things to do in the area. I hope I’ve given you some insight, not only on what to do around here, but also what our culture is all about up here in the North Maine Woods. Until we meet again my friends, I’m off to catch some rays, while the sun is still poking out.